This bold and stylish champagne and prosecco inspired print would make a unique gift to a loved one or even yourself! This print would be a striking feature to brighten up your home, or why not give it as a gift? 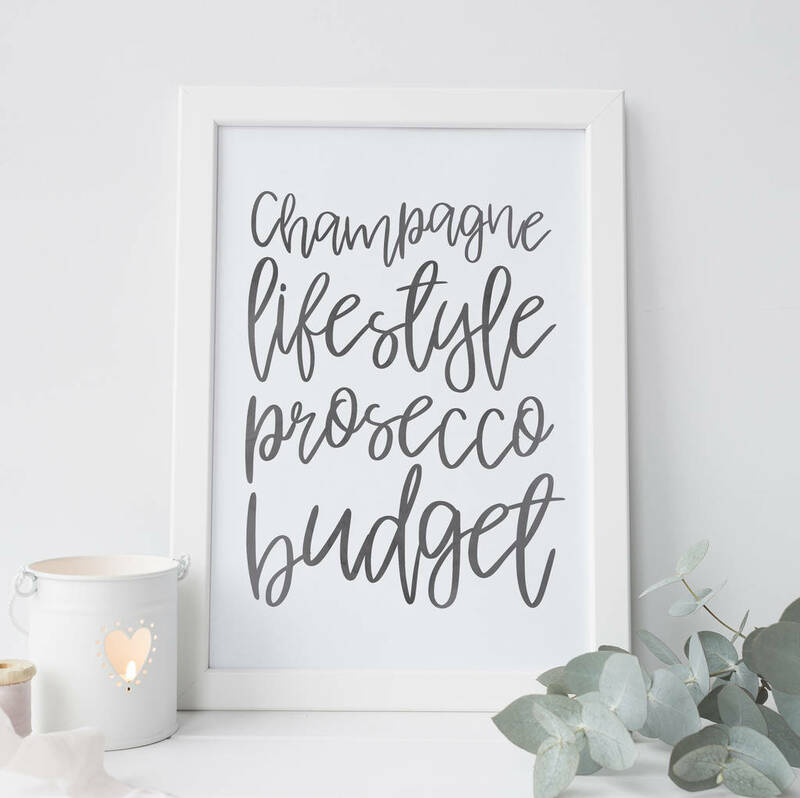 The perfect present for fans of champagne and Prosecco! This print would look great in a monochrome themed room. Print is unframed and will fit an A4 frame or A3 with insert. Packaged in a hard backed envelope for protection. Posted First Class via Royal Mail.